It seems that most Flame of Recca fans nowadays didn't knew that a finale OVA is available. 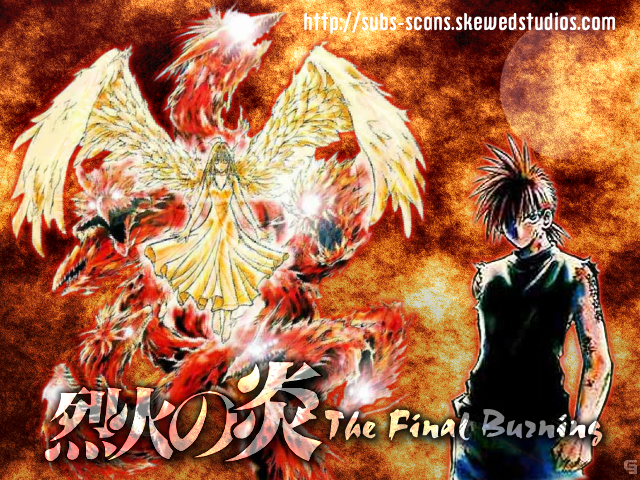 And it been more than two years since Skewed Studios Fansubs released Flame of Recca: The Final Burning, a clip that's played after you beat the PlayStation 2 video game. This is the anime adaptation of the Flame of Recca Manga Volume 33. Recca and Kurei face off against Koran Mori in a battle that will determine whether the world succumbs to darkness...or heals at last. But not even the combined power of eight dragons of flame can stop what Koran Mori has started. When Yanagi's immense powers burst forth at last, will they be absorbed by evil...or be turned to the forces of good? flame of recca is ______________.